Waxing Phases favor actions involving planting anew and moving forward, as energy increases throughout one half of your Zodiac Pie from 00 degrees Leo through Virgo, Libra, Scorpio, Sagittarius and Capricorn until the next Full Moon & Lunar Eclipse at 15 degrees Aquarius 07 August 2017. This second New Moon of Summer is alive and well with impulsive action to motivate what’s is new with enthusiastic transformation. However, we are wise to remember our courage will be required to work successfully with the tendency to feel unbridled and equally curb the potential lack of discipline we may sense. While this lunation brings along with it plenty of conflicting, rebellious, exuberant and especially unpredictable energy at our fingertips- it ultimately asks for us to heal as we recognize the pains that have been hiding in the deepest parts of our psyche in order to embrace an important process of rebirth. ARIES: It’s time to focus upon the new where I Create. Your children or brain-children capture your attention, while creative adventures really have you feeling even better about flourishing with them. Ponder what love affairs may flirt with you. You may feel like the butterfly emerging from the cocoon especially when you take your time alone to process it all. TAURUS: It’s time to focus upon the new with how I Nurture. Life takes new directions within your home and family life, and if déjà vu finds you, listen carefully to it. As your closest environments ask for your focus, connect the dots to how you are equally discovering different ways to forgive past hurts from unattained future goals in order to feel relief. GEMINI: It’s time to focus upon the new with what I Communicate. Brainstorms welcome eccentric excitement to your state of mind, and all of your avenues of communicating through them. Active ideas are at your fingertips, and be sure to utilize your patience when it comes to seeing what old wounds are in need of attention for your career and public’ life. CANCER: It’s time to focus upon the new with what I Have. Giving gratitude for what you already possess opens new doors to rely upon as increases to your earning power now arrive with plenty of vigor. Letting go of old philosophies holding you in stagnation for far too long, seeks for you to be willing to be educated to clear up any past truths that hurt. LEO: It’s time to focus upon the new with who I Am. Your approaches to life look for enthusiastic beginnings, as the world is ready for your appearance to courageously change- yet be sure you keep patience by your side as your first impressions to life now dynamically shift. Rebirth is equally alive and well as you deeply release past pains from your core. VIRGO: It’s time to focus upon the new where I Process. Time in the silent listen unfolds an extremely conclusive energy as new answers speak from your solitude and inner process. Note any messages dreams contain for your waking life. You may find whatever heartbreaking partnerships from the past are still in need of healing, will surface now. LIBRA: It’s time to focus upon the new where I Socialize. Initiating energy ignites new future goals for you along with enthusiasm to take your hopes, wishes, new friends, organizations and groups in potent new directions. Say yes to unexpected invitations to mix and mingle. Be well aware of not falling back into old habits, and take time to refresh your routines. SCORPIO: It’s time to focus upon the new where I Structure. As your career’s direction engages you in recognition and reward, your public life is alive and well with motivating changes. The ones that allow you to clear up any creative blocks with your brain children or children will help you revive your ability to willingly accept what you are meant to be recognized for. SAGITTARIUS: It’s time to focus upon the new with what I Believe. Your philosophies thrive with dynamic changes, as education & spiritual pursuits find you journeying afar to receive them. As you work through the regenerating ways your truth is changing, do not deny the déjà vu impressions emerging from the past concerning your home and family life that ask to be healed. CAPRICORN: It’s time to focus upon the new where I Transform. Your most regenerative new moon of the year is here, asking to embrace a potent rebirth concerning your overall state of wealth and sexuality. As your source energy fuels feelings allowing you to know there is no going back, it will be the removal of negative thought processes you no longer need to succeed. AQUARIUS: It’s time to focus upon the new where I Relate. New agreements are favored within your business or personal relationships as plenty of action about now unfolds. It will be time to listen carefully to seek to understand before being understood, as you are advised to avoid conflicting situations. Look at the value of what you have and give gratitude to it. PISCES: It’s time to focus upon the new where I Serve. New beginnings speak with stimulation to your ability to serve others, your health, habits and routines to activate potent changes moving forward. As you intently focus upon the importance of being of service, connect it strongly to how you are first and foremost meant to serve yourself for the highest good. Waxing Phases favor actions involving planting anew and moving forward, as energy increases throughout one half of your Zodiac Pie from 10 degrees Leo until the next Full Moon at 25 degrees Aquarius 18 August. Your children or brain-children capture your attention, while creative adventures really have you feeling even better about flourishing with them. Ponder what love affairs may flirt with you, fueling a responsibility to powerfully drawn upon conclusions with what you choose to believe you can achieve. New life flows within your home and family life, and if déjà vu finds you, listen carefully to it. As your closest environments ask for your focus, connect the dots to how you are equally discovering stability about your overall state of wealth. You’ll find, there is rebirth to help you know you have transformed. Brainstorms welcome excitement to your state of mind, and all of your avenues of communicating through them. Refreshing ideas are at your finger tips, and be sure to utilize your patience when it comes to relating them to your partnerships. Seeking to understand them will absolutely be required. Remembering to give gratitude for what you already have opens new doors to rely upon as increases to your earning power are now ready to arrive. This directly connects to responsible changes to how you serve your health, habits, routines as well as others. Listen carefully to your co-workers & pets. Your approaches to life seek to begin again, as the world is ready for your appearance to change- there are disciplined ways your first impressions to life will now carry on. Creatively, whether it be with children or brain-children, you have rewards to receive as you honor your responsibilities here. Time in the silent listen unfolds a dominion that can be yours as new answers speak from your solitude and inner process. Note any messages dreams contain for your waking life. The ideas you generate have advice for your home and family life as you recognize stability within it is equally here. Initiating energy ignites future goals along with your hopes, wishes, new friends, organizations and groups. Accept invitations to mix and mingle, and you’ll be pleased with how much your mindset can draw upon strength by quieting it. The more you take your time, the more you can imagine & ordain. As your career moves to find recognition and reward, reconsiderations equally are in play concerning your public life. The ones that ask you to become more responsible concerning the value of all that you have, change up your earning power as a new found stability is yours when discipline is practiced. Your philosophies are alive with powerful changes, as education & spiritual pursuits find you journeying afar. As you continue to work through bringing a slower tempo to all of your approaches to life, you’ll open the doors to learning more about how very much patience is required to do so. Your most regenerative new moon of the year is here, asking to embrace abundant rebirth concerning your overall state of wealth and sexuality. As your source energy fuels feelings allowing you to know there is no going back, you’ll benefit from taking some time out to spend it processing from within. New agreements are favored within your business or personal relationships and you’ll look at your future brighter because of them. Especially concerning your friends, definitely say yes to any last minute invitations to get out there and socialize. You’ll find what goals you can imagine can be yours. New beginnings speak to your ability to serve others, your health, habits and routines to activate changes moving forward. This brings even more rewards to your career and public life, but know, there is a far greater responsibility and discipline you’ll need to honor in order stabilize them. New Moon in Leo, 14 August Where Will You Feel Initiations & Fresh Starts? This two-week cycle normally favors actions involving anything new, as increasing energy moves forward throughout one half of your Zodiac Pie until the next Full Moon in Pisces 29 August. Your creative nature still shines in the spotlight, as more curtains are raised with children or brain-children on your feeling radar. Excitement surrounds projects already in motion, as plenty of understanding is on your side to help you take on an entirely different approach to your entire life. Vivid and dynamic energy now freely cultivates new flows for your home and family life. Déjà vu is apt to channel some important messages for you to receive. Your dream state is completely active as these messages are also keys that are able to help you nurture all the more within your waking world. Your mindset streams with imagination as new light now shines to stimulate your brainstorms, welcoming a fiery and fresh energy to your thinking. Writing things down equally assists helping you know more about your future goals, hopes and wishes. Accept any unexpected invites to socialize. Giving gratitude only allows room for more, and when you honor this practice, vibrant and valuable doors open to rely on for an increase in your earning power. Remember to honor reflection concerning these offers, as they hold promise to enhance your career, especially those that reinvent it the most. Your approaches to life are eager in a new flavor and feeling, and the world absolutely looks at you differently, liking what it sees. The new mask you have built to create a refreshed appearance is ready to create with recycled ideas, which should involve your most original and renewed spiritual beliefs. The time in the silent listen now unfolds rewards as you continue to find a happy routine for your solitude, as new inner healings emerge. Dreams are stunning with messages for your waking life, and have plenty to channel about how much you have transformed, as more rebirth finds you smiling. Inspiration is here to ignite future goals to kick up their energy to enrich your hopes and wishes, with new friends, organizations and groups stirring into the mix of what you are equally reflecting upon. Your partnerships -romantic or business- are part of this consideration, so seek to understand them. As initiations energetically seek to move your career and public life forward, it’s time for action, recognition and reward. Reflection persists for existing projects as change strongly focuses upon equally involving the reinvention of your habits, health and routines to serve you and others better. Your philosophies simply inspire growth, seeking to spiritually educate and connect with you, especially through any kind of long journey. Learning processes to reassess your truth cannot be ignored. Pay close attention to the intuitive channels sparking more unique flavors where you create. One of the most regenerative new moons of your year, embrace the genuine presence of a fiery rebirth energy concerning your wealth and core source energy of your being. Sexuality is also on your new feelings radar, asking for ways to nurture it better that you hadn’t been able to access until now. Fresh and vibrant energy surrounds matters relating to what’s new in your business or personal partnerships, where you have been weighing all the pros and cons of recently. What you are sensing inspires tremendous ways for you to think with a refreshed mindset, speaking well to those you love. Changes bring in new life concerning your abilities to serve others, your health, habits and routines- all of which have been under the value of the review microscope as of late. See now how this soul homework connects the dots to assist you with better ways to earn, and embrace your power here. Energy initiates and builds within this half of your Zodiac Pie throughout 29 August. This Leo New Moon is completely enthusiastic to allow us to explore our new feelings in heartfelt ways, as faith is equally part of this lunation’s gifts. Albeit Venus Retrograde will be reflecting her values in a close conjunction at 23 degrees Leo, these too, have plenty of worth to add to what undeniably will gather up in fresh emotions that are surrounded in understanding if ego is not standing in our way throughout 29 August. What also becomes reactivated from the recent request to Create Our Now & Own Our Truth is the trine that this Leo New Moon also makes to Uranus Retrograde over at 20 degrees Aries. The latter part of June and early July saw both Venus and Jupiter making this same splendid conversation to Uranus as it was still moving forward. Now, all that already exists from what was created over that period has the perfect opportunities to be revisited, reconsidered and ultimately improved upon as our intuition is completely activated to energetically explore what further freedom and experimentation can be implemented. Wear your bejeweled crown with honor, for it is well deserved. As you wear it, acknowledge the weight of the lessons learned and allow them to always be a reminder of your conquests on your road to victory. No longer doubt your ability to accomplish great tasks, for through your courage, you have liberated yourself from further disappointments. Now you can look forward to substantial worldly gains and peace in your heart. Should you face the challenge of this vibration, be prepared to brave the rough seas ahead, for the wave of challenge is upon you. Remember that life can be a stern teacher, but education is necessary for you to appreciate the blessings in store for you. It is a time of much soul testing so make sure your vessel is sea worthy. Brave the elements and steer your boat to the shores of Heaven, where you will eventually drop anchor. Read on where you can expect something to release in this area of your life. Remember with all Full Moons as they start another Waning Phase, this two-week time frame until our next New Moon 01 March favors review and redo. As we arrive at a New Moon in the same sign within 6 months, what is concluding now will make the ultimate space for new seeds to be planted in this area of the life later on. This will apply to your natal charts’ advice for an even more intimate perspective. Do consult a professional astrologer to read the accurate analysis of your individual natal chart for the precise area of life where 26 degrees Leo is placed in your personal zodiac pie. What natal planets are placed near any 26 degree points? These areas of the life will equally receive a direct line of communication from our 26 degrees Leo Full Moon, asking to connect more clues as to how your reflections and releases will call loud and clear as we journey further into 2014. Equally asking for our retreat time is the request of the Current Mercury Retrograde offering of review within The Water Bearer, which is occurring from the opposing area of our lives. New beginnings associated with any kind of long term plans for success in the future, involving communication and movement should be avoided until after our Messenger planet goes Direct 28 February. Focusing upon those “re” words and making plans to reassess, review, and rest allows us to enjoy this redoing passage and embrace its’ rewards. Legal decisions and taking up in action for the long-term is safe to resume after 28 February, closing watching the Shadow period until we enter Spring. Aries: Finish up something upon the stage of your life where I Create. Place focus upon completing, or reviewing a creative project already in motion. Children and “brain children” desire the spotlight and your attention. Love affairs flirt with you, equally asking for conclusions. Reflection calls as well from connections relating to your friendships, groups, hopes and wishes. Taurus: Doors are closing pertaining to your home and family life where I Nurture. Watch out for domesticated drama, and especially now don’t react to it- respond! This lunar pass intensely teaches you about structure, which may channel to you through déjà vu. The release required connects as well to the reflection and reassessment being felt within your career and public life. Gemini: Surrender to thought processes no longer serving you where I Communicate. Worn out patterns desire to be released here. Comfort is found through reconnecting to something you previously learned. Short trips, siblings and neighbors take focus. You will find a ponder for jet setting all around, as you remember to honor a fantastic spiritual retreat with all that you believe. Cancer: Financially, it is time to focus in reassessment with what I Have. Spend time re-evaluating your value system, allowing you to re-anchor your securities. Take a hearty look at your possessions, and see what you no longer need. It has been an interesting passage of review penetrating to your core, and this connects it all in true worth to regenerate and change you. Leo: The Lunar spotlight shines upon the I Am of how the world looks at you and your first impressions of life! Now you reflect upon what approaches to life no longer work. Sharpening the saw here is a marvelous antidote for this transit- allowing plenty of conversation to then emerge with those you partner with, which is under the redo and review microscope of how you relate. Virgo: Logical feelings may not find you now where I Process. Whether it makes sense or not, it is best to take a look at the inner layers of your psyche (not always the most comfortable place for you Virgins), the unknown. Your subconscious is primed for you to indulge in your solitude. Be of service to what you see- as your habits, routines and health are within reflect mode too. Libra: Ponder your place in your organizations where I Socialize. If there is a friend right now who is not peaceful to you, it’s time to let them go, as well as old hopes and wishes not in alignment. An unexpected invitation arrives to get out in the world, and you’ll probably run into something else from your past. Keep revisiting your creativity, as innovation wants to find you. Scorpio: Career matters are of focus right now, as you are urged to reflect where I Structure. Your purpose, mission, and reputation await significant changes, as your public image takes center stage for review. Perspectives upon authority change. The family and home life maybe experiencing some misunderstandings, but it’s your responsibility to not cast judgment now. Sagittarius: Aim your arrows to gain more of that educational joy you love so much Archer where I Believe. Reflect upon your philosophies and if you aren’t on a long trip, you’ll be feeling like making plans for one especially if it serves your higher education. Relate it all to the review your thoughts and mind is going through, and write them down, there is plenty here to discuss. Capricorn: Financial revisions find the old Goat focusing where I Transform. Reassessments are favored in your investments, taxes, and shared/joint resources. Ambition speaks for deep changes as spiritual calling outweighs the material. Take time to focus on the physical, sexual side of you. As you review the value what you have, you’ll earn more worth across the board. Aquarius: Whether personal or business, partnerships take your center emotional stage where I Relate. You feel a yearning for human contact, and one you may need to let go of. Loads of new approaches are in the current state of review trying to reinvent you, so allow these to originally open you to a unique way to be seen by the world, and you receive your first impressions of it. Pisces: The urge to improve your routine, personal habits, or health where I Serve asks to release any habits that make you feel confined. Definite changes evolve with how you are of service to the world: make sure the waters you are swimming in are healthy and safe ones. Dreams especially communicate the answers to complete the puzzles of your waking world, and these also will bring further conclusions to the ongoing review within how you process it all. Energy completes and releases within this half of your Zodiac Pie throughout 01 March 2014. Moon VOC: When the Moon makes its’ last major aspect to a planet before entering the next sign, it is a recognized time that strongly advises us to not be in forward motion nor make any important decisions for the future. As we welcome our second waning moon of winter and for 2014, as our Full Leo Moon opposes our Mercury at 27 degrees Aquarius we will be asked to hold off and remain in pure reflection and review until it enters Virgo. Allowing Chaldean Numerology to assist us further in knowing more ways to guide our energy properly, this is the first of two Full Moon requests at the 26th degree point indicating we are wise to engage in careful observation of what we are partnered to within our lives. With the natural properties of Leo bringing in the true heart and soul of any matter, as we examine our abilities to be dignified and loyal within our ties to others, we’ll find being patient here will be of great benefit. While any Full Moon casts the energy off for a completely reflective feel, at this degree point, we have one more request to truly take time in responsibility, slowing down, work, and learn from the experiences within our connections from where 26 degrees Leo personally affects our lives. This speaks directly to Mars who will also be at 26 degrees Libra, so you’ll notice some feelings around that will relate the need for dynamic understanding in any given partnership. The leadership areas of our lives (Aries, Cancer, Libra and Capricorn) are extremely activated in the months ahead, calling as well over this time for reflection upon the new directions we are soon going to be asked to go in after Spring arrives in full. This 26 degree Leo Moon looks to connect to it all, yet this will require PATIENCE, to TAP IN AN ANCIENT PEACE PACE. The Lion will lead us to courageous answers, guiding us to innately know what we must release here. We’ve let it all go from the last Full Moon in Aquarius upon the 22 July to now move forward in our emotions that wish to project loyalty within the fiery energies of The Lion. As any given New Moon typically brings a fresh start to our feelings, the opportunity to find forward motion to ultimately flow returns as our recent Mercury Retrograde’s Shadow period is over. This Waxing Phase promises extreme change associated with it, as a new surge here requests our seed planting where Leo organizes this heartfelt movement within your Zodiac Pie. 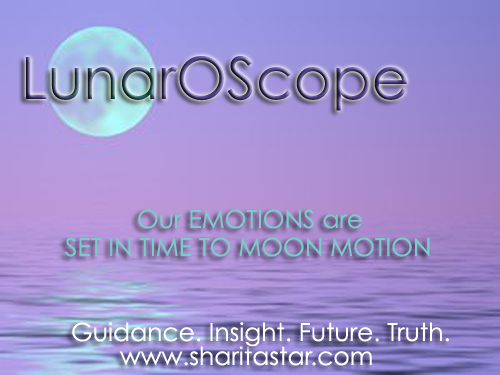 Leo Lunar energy must beware of conceited, self-indulgent, and opinionated energies that may arise. When there is plenty of magnanimous leadership around, it sure can be easy to gravitate to not being able to recognize limitations. While a strong sense of pleasure-loving and dramatization mark any planetary passage through The Lion, the cultivation of humility, altruism, thrift, and attention to detail will allow this renewing lunation to reap its’ generous rewards. When our New Moon embarks in the dignified energies of Leo -the sign that consciously aims for creative self-expression- the collective is primed to tap into some inspiration and faith. Be alert to the radiating gifts that are meant to unfold- as a loyal and vital force marks this new waxing phase to get those new ideas and initiations out there to assemble in the light. Visualize a gathering force as the Moon will travel from 14 degrees Leo to where 28 degrees Aquarius’s energy falls within the birth chart, as this half of your Zodiac Pie is ready for a fresh emotional feel to come into careful play throughout 20 August. Moon VOC are passages that occur at various times all month long, beginning when the Moon makes its’ last major aspect to a planet before entering the next sign. In essence, it is a recognized time that advises us to not take up in forward motion nor important decisions for the future. As we welcome our second waxing moon of summer, as our New Leo Moon conjuncts our Sun at 14 degrees Leo, we will be still be asked to hold off and remain in reflection and review until it enters Virgo 07 August. Allowing Chaldean Numerology to assist us further in knowing more ways to guide our emotional energy properly, this 14 degree point asks us to carefully re-examine our details before making new moves to assist us in avoiding future challenges. Especially under the Moon Void of Course engaging upon the actual New Moon -while we are all so ready to move forward in our lives- just a tad more pause is necessary before moving forward. Equally any association with others whom we are paired up with must be carefully considered here as well, making sure we are not placing trust in the wrong hands just so we don’t have to be self-reliant. Lunar-O-Scope 06 Aug 13 Where Will You Gather Up New Feelings? The simplicity of knowing your sun sign is all you need to take full advantage of what this lunation means for you. Remember if you know your Rising Sign (Ascendant), read that passage too for a deeper look, for it typically will apply to your personal charts’ advice from the natal perspective. However, it is wise to consult a professional astrologer to read the accurate analysis of your individual natal chart for the precise area of life where 14 degrees Leo affects your personal zodiac pie. Those in full awareness of their natal birth chart will wish to check any planetary placements that are placed near or at 14 degree points, for these areas of the life will receive a direct line of communication as well asking to connect more clues as to how your new beginnings will call loud and clear. Both the sun sign and rising sign views are the two areas of your life that call for you to bring forth initiations and a fresh feel within the next two weeks to follow. Properly embracing the new and gathering up in these areas until the Full Moon upon 20 August will plant energies in place for future use. Aries: Rams, it’s totally time for you to get out on your stage to shine and play! Focusing upon where I Create– whether a new brainchild or your physical offspring- is where you should be pioneering. A love affair flirts with you, which is easily able to move on to a relationship level if you are willing to entertain it. As you continue to reinvent yourself and all the ways you take in the perception of life, this connects with dynamic magnetism to allow more originality to find you. Taurus: A many new things are now ready to get grounded that pertain to your home and family life where I Nurture. This passage brings new heartfelt feelings to where you feel secure and loved. As you look to your new environments, you will also see easy ways you can relate to how your inner world wishes to bring more innovative ways to assist in processing it all. That sense of déjà vu says listen to that instinct you hear, as its’ message is of karmic importance. Gemini: You’re always thinking and catching thoughts from any direction, yet be ready for some truly inspiring ones to find you now where I Communicate. The mental state will be feeling entirely fresh as a daisy as your optimism should be especially filled with magic. Unite this with all the different ways you are finding your hopes, dreams and wishes regenerating: allowing friendly ways your perspective towards socializing with the world to think better than ever before. Cancer: Ok Dear Crab, you should be feeling better about what I Have as new opportunities are here to bring back that earning power after the recent review. Focus upon your value system and sense of security so you are ready to fly. Give a hearty look at your possessions, and see what means the most to you, as there may be some necessary new purchases ahead. The unique ways your career and public life are changing ask for you keep your imagination healthy to do so. Leo: The Lion always loves to be on the stage, and your whole approach to I Am is ready to put on that new mask and shine! You’ve made the space for those first impressions to change, and the world is amazed with the new you. Humility allows you to gain the real insight you seek, as it lets you see through the entire forest you have reign over. If you have been adhering to that educational calling to bring in determination to figure out what you truly are meant to believe, be ready for a hearty reward to turn your new ways of expressing them right into the gold you love. Virgo: Logic doesn’t serve you now Dear Virgin. Those fresh energies emerging with the inner layers of your psyche, the unknown, where I Process are ready to move forward. Your nighttime dreams are a remarkable tool- study and review these well, so know required time in solitude calls so you can gain the insight that is meant to flourish. There is much that this wishes to say to how you are transforming right now from the core, so keep studying these details intensely. Libra: A buzz of energy flows in your friendships and organizations, where I Socialize. Don’t say no to that unexpected social invitation- get right on out there and relate to it all. Fresh energy comes into your groups, hopes, wishes and dreams. What has been nothing short of the unexpected occurring within your partnerships, know these recent experiences ask you to simply learn from them, and take away what you won’t never do again if you listened to the lesson. Scorpio: Career matters and the public life await for decisions to be made on where it is all going where I Structure. Your purpose, mission, and reputation all await significant changes, so if something different shows up, it is not the time to resist it. While power is always around you, your view on authority looks different, which speaks to you with determination to continue to learn to find original ways to improve your service the world, your habits and routines. Sagittarius: Your arrows aim towards gaining more philosophy and learning where I Believe. Embark on or make plans for a new adventure. You always find ways to travel whether it be by passport or in the mind, but make sure these new ones have you in pursuing your spirit to the realms of higher education. You adore change, and if you find your creativity is equally answering this call, you’ll ace this waxing phase to unlock precious gifts that reinvent your entire approach. Capricorn: Been patiently waiting to make those financial moves old Goat? It’s a prominent time to take a look at investments, shared/joint resources, all where I Transform. You’ll look for more intimacy in a personal relationship, but this requires not thinking about all that work to be done. As your core is regenerating in new and fabulous ways, remember to relate it specifically to how your nurture your home and family life, which looks entirely different than it ever has before. Aquarius: Now is not the time to be detached, but look to see how to bring new life to all of your partnerships where I Relate. There should be plenty of space here for you at present to find warmth emerging. Heartfelt energy feeds your one-on-one bonds to creatively grow. However, if you are in resistance to the ways you mind is asking you to think with more innovation than you already do, you may miss the connection about how your relationships are meant to flourish. Pisces: If your intuition is on point you innately know improvements to your routine, personal habits, health and where I Serve are abound. Definite changes deal with your ability to be of service to the world- there are now fresh and very clean waters you are meant to be swimming in. While all is equally in the process of changing your value system and earning power, continue to connect how this so perfectly wishes to speak with determination to serve you and your world.